Family owned Business of the Year is recognized and nominated by its peers - This award is given annually by the Longview Chamber of Commerce. 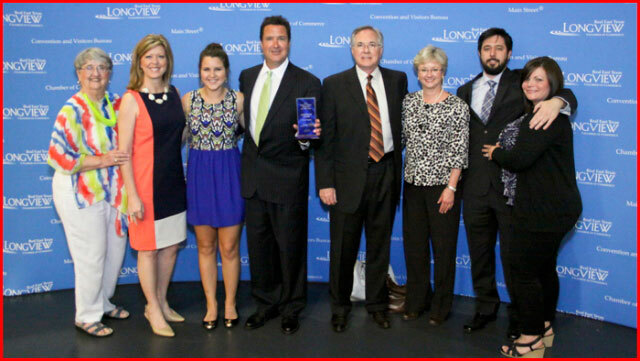 Longview Glass, LLC owned by Bruce Forbes and Scott Forbes, was awarded the 2008 Texas Family Business of the Year® "Family Values Award" by Baylor University. The "Family Values Award" is given to the successful family business that has shown commitment to family values by nurturing healthy relationships and stability over successive generations. Baylor University's Institute for Family Business recognizes firms whose families demonstrate a commitment to each other and to business continuity through this awards program. To apply a firm must be headquartered in Texas and be owned and operated by different generations of a family. The entries are judged on the following criteria: Family Involvement, Community and Industry Involvement and Business Success. Recipients are chosen by a panel of six judges, who all have experience in entrepreneurship and family business. Longview Glass submitted an extensive report including Products and Services, Strategic Planning, Public Reputation, Entrepreneurial Success, Photographs of Commercial and Residential Installations, and an Organizational Chart. Over 100 businesses were nominated and 9 received recognition. 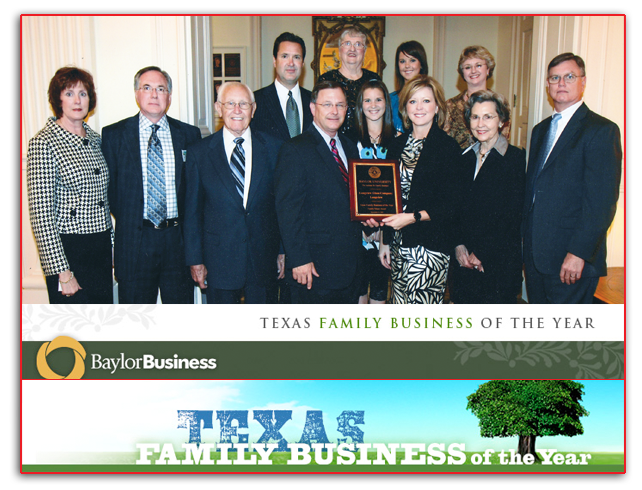 This was the 19th year for the Texas Family Business of the Year award program.